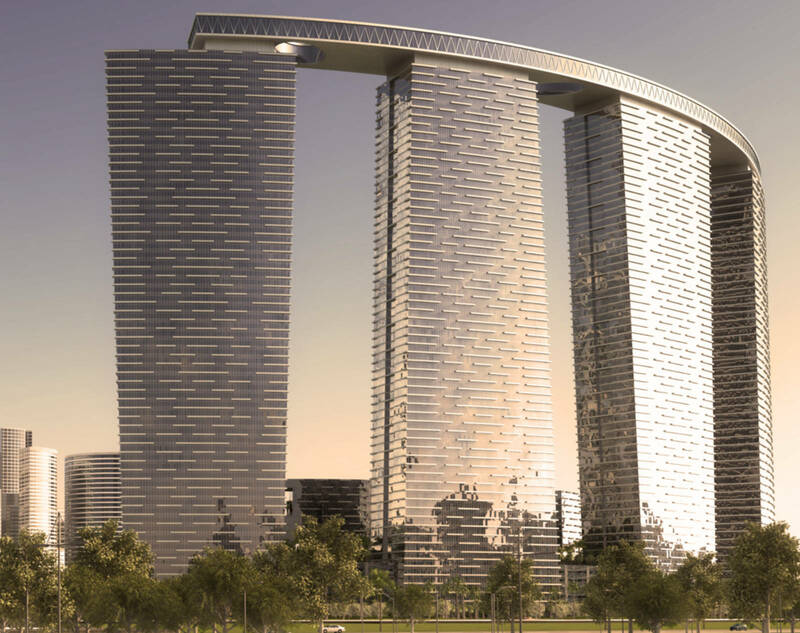 Drawing on the inspiration of monumental living The Gate Towers is designed to be built on one common denominator of all great structures…with its imposing architectural design, state of the art amenities and unrivalled location. The Gate Towers will provide an all new concept in urban lifestyle, a perfect combination of modern comfort and natural living. Prestige and stature reign at the entrance to Shams Abu Dhabi where this eight million square foot project rises, The Gate Towers offers quality high end offices, luxurious apartments and exclusive penthouses with amenities and facilities to cater to numerous needs, heralding a new dawn in modern urban living.